At Dog Friendly Lake District we are always on the look out for places that love and encourage you to bring your dog on holiday with you. We've listed selection the top dog friendly glamping sites in the Lake District to help you find the perfect stay. The Quiet Site have dog friendly camping pods and Hobbit Holes, a lovely dog walking area and a brand new dog washing parlour with hot water! There are lots of top dog walks straight from the park and a dog friendly bar. 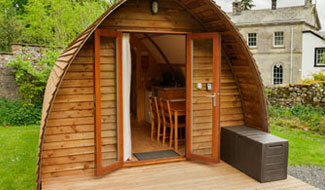 The Hobbit Holes are large underground living spaces with an amazing view over the Ullswater valley. The Quiet Site Pods are a simple progression from the holiday under canvas; they offer a convenient alternative to the tent but retain all the ambiance of the 'camping holiday'. 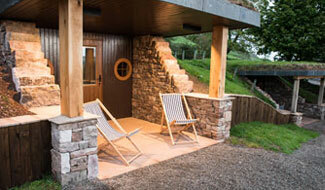 Inside Out Cmping is situated on Seatoller Farm Campsite in the heart of the Borrowdale Valley. 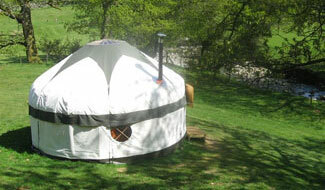 Both farm and yurts welcome dogs. With numerous walks directly from the site and a small river it’s easy to venture out. You could walk along the valley to Keswick and catch the bus back or walk around Derwent Water and Whinlatter Forest a short drive away. Keswick is especially dog friendly with many pubs and cafe allowing your 4 legged friend in. Don’t forget to take a trip to the super Podgy Paws shop in Keswick. Waterfoot Park is in an idyllic location for Touring, Glamping, and Self Catering holidays with your four-legged friends. When you’re not out exploring the scenic landscape, or visiting one of the many dog-friendly bars, restaurants, and shops, their site offers a cosy place to put your paws up and relax. They have accommodation options for all breeds and personalities, including Mansion Cottages, Glamping Pods, and the ever popular Hive Cabins (with dog and boot wash conveniently outside your doorstep!). Dogs receive their own personalised welcome pack on arrival and are allowed in the Mansion Bar, so you can wind down after a refreshing walk in the Lakes with your best friend by your feet. Placed just outside the Lake District, Woodclose Park is the perfect place for owners wanting to explore with their best friend by their side. Nearby to the dog-friendly town of Kirkby Lonsdale, you’ll find plenty of local shops, cafes, and restaurants that will welcome you and your dog with open arms. 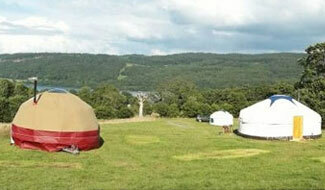 On the Park you can choose from their selection of Glamping Pods or onsite Flat Treetops for more room to stretch out. The Park also understands that four-legged friends have their own needs, and have created a dog walk that runs through the Park so you can explore the area easily. Hill of Oaks is nestled within an ancient Oak forest alongside Lake Windermere – an area famed for its fantastic walks and dog-friendly sites. The site understands that like our guests, the four-legged friends that come to visit have different needs too. 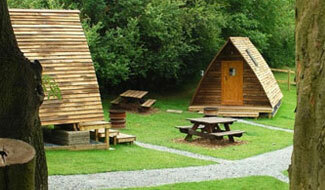 It therefore offers a range of dog-friendly Self Catering Apartments, Lodges, and Glamping Pods for you to choose from. The site is ideally based along almost one mile of Windermere’s shoreline, and takes you right to the water’s edge, perfect for water loving pups who fancy a splash. Nearby walks in the area are also extremely popular for a whole host of energy levels. Canine guests receive a warm welcome at The Lodges at Artlegarth, with feeding bowls and dog treats provided on their arrival. 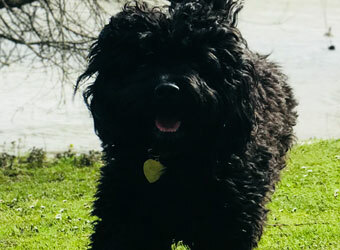 Dogs love exploring the grounds, including the woodland walk around the perimeter of the site and the aptly named ‘Paradise’ lake which is a five minute walk from the site. The beautiful village of Ravenstonedale is one mile down the quiet country lane and as both pubs in the village are also pet friendly its perfect if you go for a wander and want to stop to sample a real ale or enjoy a bit to eat. If a dog loves the outdoors then head to the lake district and if they like to be warm and toasty, sit them by the fire at Wild in Style - set in the heart of the Lake District, it offers a number of different pet friendly accommodation options. With walks from your door step and most shops / cafes and pubs in the area being pet friendly it’s a great way to explore. Each glamping unit not only has a wood burner inside but a private BBQ / Firepit outside to sit around in the evening - there is power for lighting and phone charging. 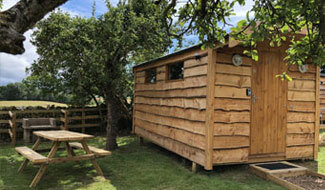 Orchard Hideaways are a dog friendly 16 Pod Glamping site. 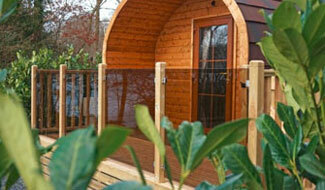 Orchard Hideaways never anticipated quite how many guests would be coming with their furry little friends and this completely changed their plans of adding more pods. They made the decision to build larger pods to make it more family and dog friendly - understanding that a dog isn’t just a dog, its part of the family. On top of adding more floor space for them to sleep, 5 of the pods have their own fenced off areas. Giving them their own area to roam freely outside. 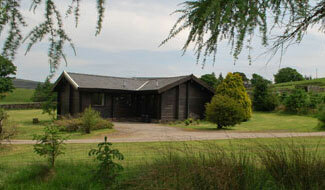 They have now had more families, couples and friends staying with their dogs than ever before. Based in Penrith, Lake District there are endless places to walk your dog and places to visit with them. We are certain both you and your dog will love it here and it would be a real shame to miss out. Not only do you have some of the best hill walks in the Lake District straight from the hut door, such as: The Fairfield Horseshoe, Nab scar and Alcock Tarn. There are also great lower level walks with stunning views over Rydal and Grasmere Lake, such as the Coffin route, Rydal Lake and Under Loughrigg into Ambleside. The entire site at Rydal Hall is dog friendly, even the tearoom and the grounds are well worth an explore with some of the most ancient trees in England. There are waterfall walks ornate gardens to explore and a spectacular sculpture woodland to spark the curiosity of both you and your four legged friend.